The Glacier PL3021F Farmhouse Single Bowl Stainless Steel Sink is versatile and convenient. This farmhouse sink is ideal for a variety of uses. 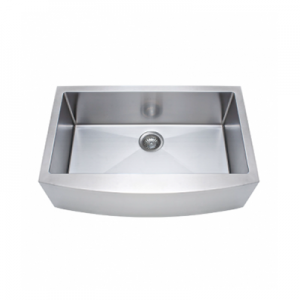 Made with 304 Grade stainless steel, this sink is high quality. You’ll love the classic, single-bowl design of this sink. Most single bowl sinks are stylish but too small to actually be of use in a kitchen you cook and clean in. However, this single bowl kitchen sink is unlike any other single bowl sink you’ve ever encountered. It’s a stainless farmhouse sink, and it’s big enough to add functionality and convenience to your kitchen, while also creating a classic, clean look that you’ll love. Made by Glacier, this high-quality kitchen sink was designed to last for years to come.